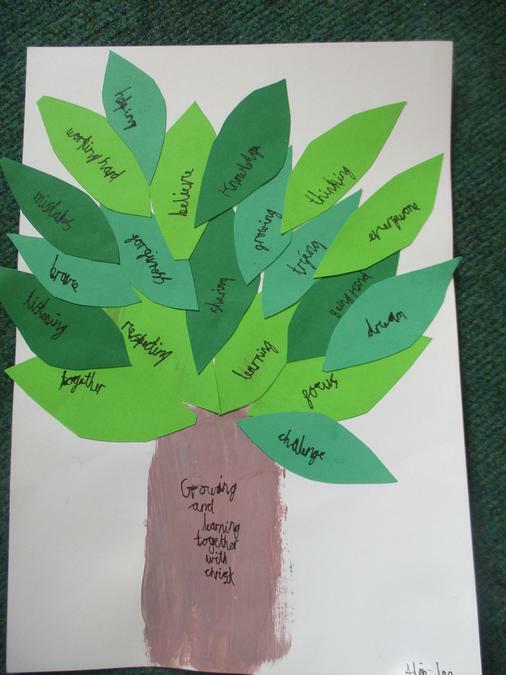 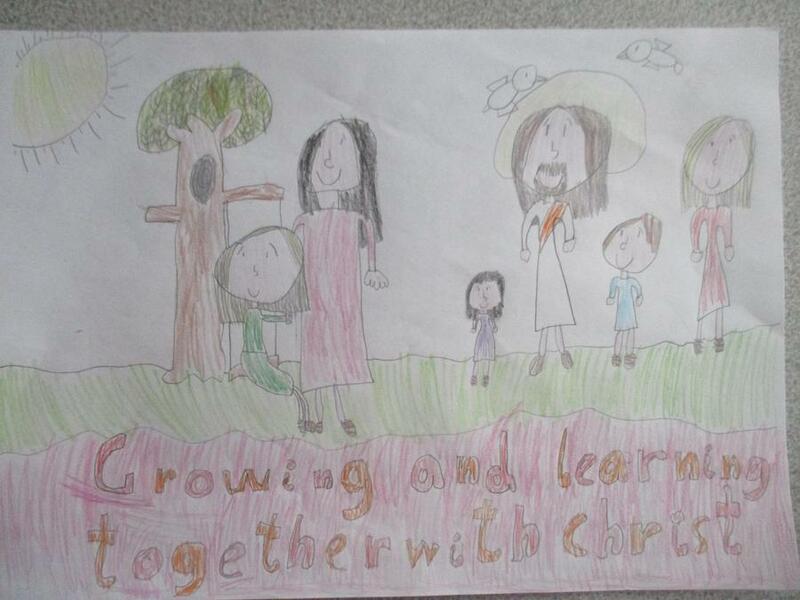 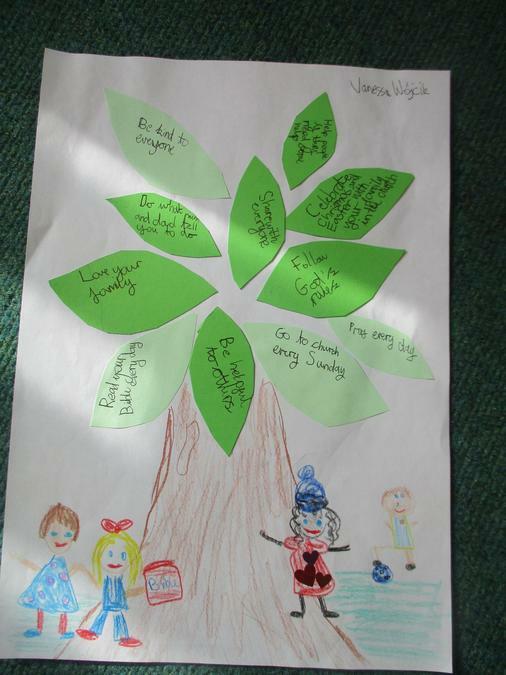 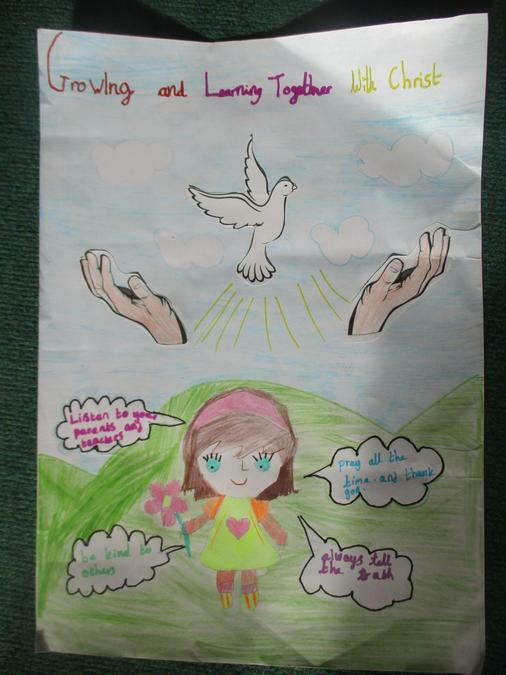 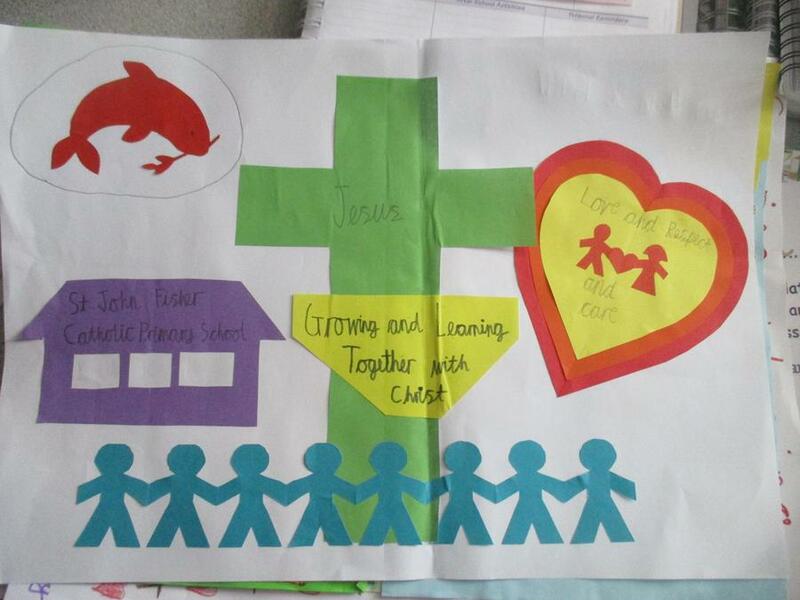 The children were asked to illustrate our Mission Statement and show what it means to them. 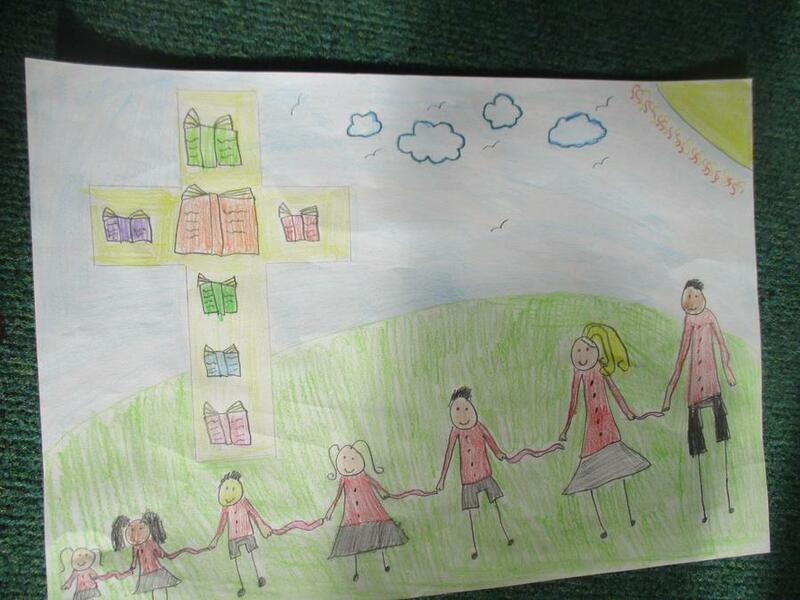 Well done to all the children who took this opportunity and created some wonderful artwork. 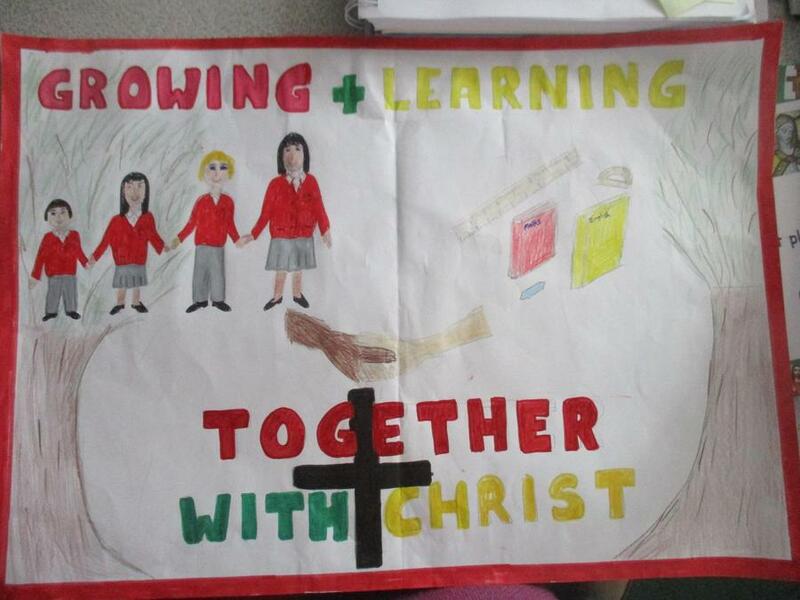 It is clear that a lot of thought was put into this work. 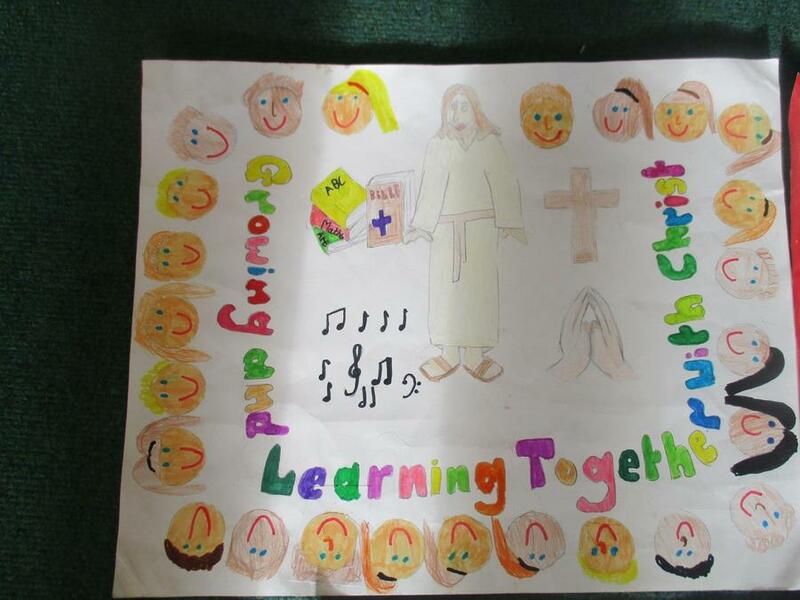 Mrs O'Brien was also very impressed with the wide range of techniques used. 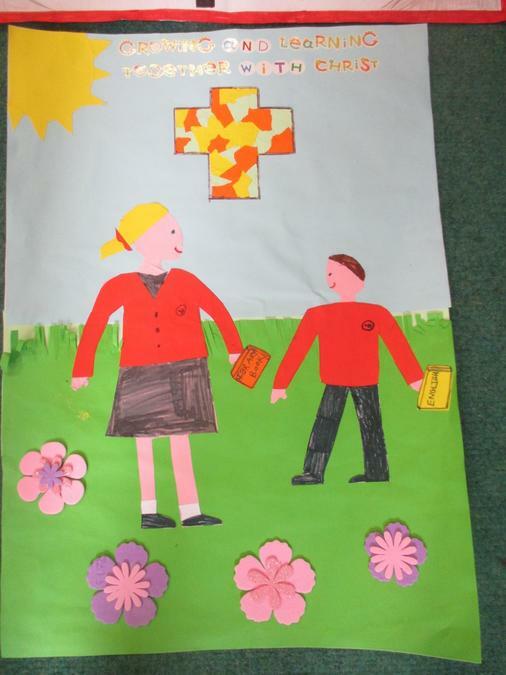 Some of these pictures have been selected to be displayed in our school entrance. 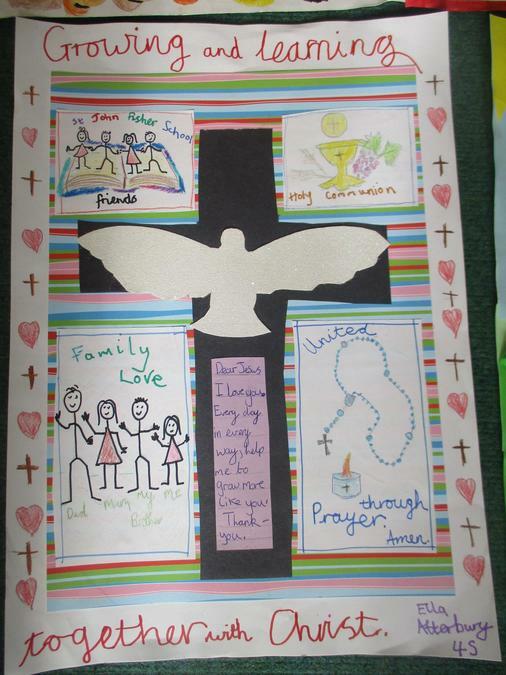 There will also be a display in our parish church. 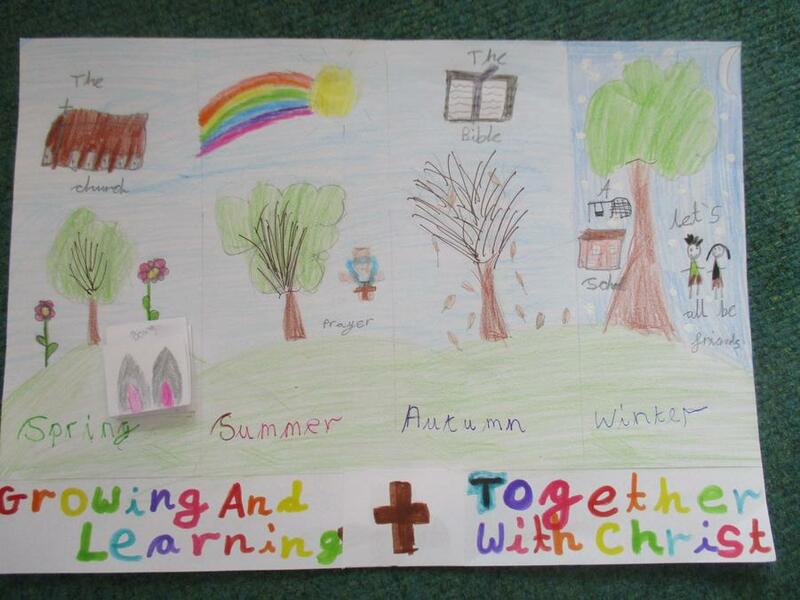 Please take a moment to have a look at these lovely pictures and think about our Mission Statement.